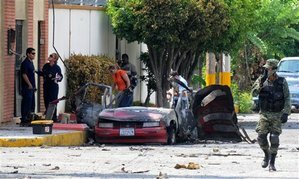 REYNOSA, Mexico – Two cars exploded early Friday in a northern state where officials are investigating the killing of 72 Central and South American migrants, and a prosecutor investigating the massacre has disappeared. The prosecutor, Roberto Jaime Suarez, vanished Wednesday in the town of San Fernando, where the bodies of the migrants were found, the Tamaulipas state attorney general’s office said in a statement. A transit police officer in the town was also missing. 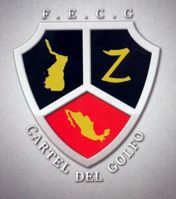 President Felipe Calderon, speaking during a forum on security, said Suarez, a Tamaulipas state prosecutor, was involved in the initial investigation into the massacre, which authorities have blamed on the Zetas drug gang. The federal attorney general’s office has since taken the lead in the case. The two car explosions occurred less than 45 minutes apart in Ciudad Victoria, the Tamaulipas state capital, theattorney general’s office said. The first exploded in front of the offices of the Televisa network and the second in front of transit police offices. network for several hours. The explosion outside Televisa was felt for several blocks. The network described the explosion as a car bomb, but the state attorney general’s office said the cause of the explosions had not been determined. If confirmed, it would mean a total of four car bombs in Mexico this year , a new and frightening tactic in the country’s escalating drug war. The first exploded July 5 in the northern border city of Ciudad Juarez, killing a federal police officer and two other people. The second, which caused no injuries, happened just two weeks ago in front of police headquarters in Ciudad Victoria. 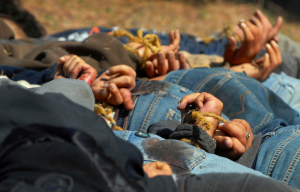 Just north of Ciudad Victoria, heavily guarded investigators working at a private funeral home in San Fernando identified 31 of the 72 massacred migrants, whose bodies were discovered on a ranch Tuesday, bound, blindfolded and slumped against a wall. Those identified included 14 Hondurans, 12 Salvadorans, four Guatemalans and one Brazilian, according to the state attorney general’s office. The government’s chief security spokesman said the migrants were apparently slain because they refused to help the gang smuggle drugs. The victims of what could be Mexico’s biggest drug-gang massacre were traversing some of the nation’s most dangerous territory, trying to reach Texas. The lone survivor, an 18-year-old Ecuadoran who managed to escape and alert marines at a checkpoint, said the killers identified themselves as Zetas, a drug gang that dominates much of Tamaulipas. The Ecuadoran, Luis Freddy Lala Pomavilla, has been offered a humanitarian visa that would allow him to stay in Mexico, Immigration Commissioner Cecilia Romero said during a conference call with reporters in Mexico City. Lala, who is recovering from a gunshot wound to the neck, has not decided whether to accept, she said. Romero said Mexico offers a humanitarian visa to any migrant who has been the victim of crime in its territory. It is one of the many measures Mexico has taken to help migrants who increasingly are being kidnapped, killed and exploited by gangs as they travel toward the United States, Romero said, disputing allegations from human rights activists who say corruption and indifference by Mexican authorities are letting abuse of migrants escalate. Romero said most migrants decline the visa, preferring to return to their home countries, but Mexico has granted at least 436 since 2007. Mexican immigration agents have rescued 2,750 migrants this year, some who were stranded in deserts and others who were being held captive by organized crime gangs, Romero said. In Tamaulipas alone, agents rescued 812 migrants kidnapped by drug gangs, she said. Many of those migrants told authorities the cartels tried to force them into drug trafficking. “We perhaps saved them from being massacred like the 72 that we lost this time,” Romero said. The National Human Rights Commission estimated in a report presented last year that nearly 20,000 migrants are kidnapped each year in Mexico based on the number of reports it received between September 2008 and February 2009 , numbers the federal government disputes. Mauricio Farah, who coordinated the report, said government corruption is at the heart of migrant abuse in Mexico. Commission president Raul Plascencia said Thursday that authorities never responded to its recommendations or demands for greater security for migrants. Romero acknowledged widespread corruption among police and immigration agents. She also said she could not rule out the possibility public officials were involved in the kidnapping and massacre of the 72 migrants. But Romero insisted the Calderon government is aggressively rooting out dishonest officials. She said 30 immigration officials had been convicted of corruption and 350 agents fired since Calderon took office in December 2006.